Florsheim is known for the fine quality of its shoes, but sometimes you need a little something extra to complete the look. Florsheim socks are the perfect companion to your favorite Florsheim shoes. 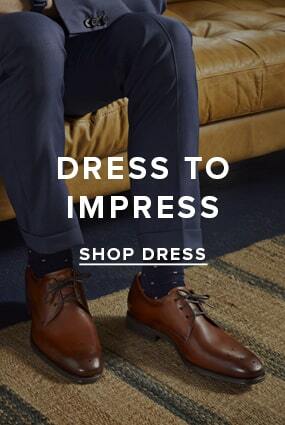 Florsheim socks complement any shoe. Pick up a pair of no-shows for a more casual look or opt for dressier styles like argyle, knit or nylon.